There are a lot of people that think it awful strange that in addition to baptizing adults who have never been baptized, we also baptize the infants of believing families in our church. I certainly understand the feeling. Try growing up Southern Baptist watching dunk after dunk and thinking one day the church spring for some duck-waders and a robe just your size, only to end up with a bowl and a mere handful of water. I often tell people when they ask about baptism that my love for believers baptism has not diminished, rather, my passion for covenant baptize has grown to govern my beliefs and actions as a pastor in Christ's church. That said, I'd like to share what we are saying when we baptize our little ones as well as dispel a few rumors I've come across. When we consider our own stories of redemption, we often focus primarily on trying to "place the star" when and where we "got saved." What has grown my deep and abiding love for *covenant theology is the understanding that my story of redemption doesn't start with my arrival on the earth. Ephesians 1:4 tell us that "before the foundations of the earth" God destined us (His elect) for adoption! Using the example of marriage, I'm quite sure I didn't fall in love with my wife on the altar at our wedding date. That's not to say it isn't possible, but more than likely my love for her already existed and therefore lead me to make that commitment at that particular time. When I try and consider when the love actually began, I find myself continuing further back into our history to find what might be consider the infancy of our love for one another. Likewise, in our story of redemption, we might find it a fun exercise to consider the events that lead up to our "star moment." As we discuss marking the children of believers we are first and foremost acknowledging the primary function God has in our salvation and how that plan extends beyond life's borders. Where we are coming from in scripture It all starts with God who is a promise making, promise keeping God. There are notable promises made by God throughout scripture and there are known that He fails to keep to this day. In fact, the very "good news" of the gospel of Jesus is that when we fail to keep our end of the covenant, God in His Son satisfies both parts. Since the beginning of the people of God, the promise God makes with Abraham to make Him a great nation in Gen 17, was for him as well as his children. The sign of that covenant promise was circumcision. It wasn’t optional. Moses in Exodus 4 is nearly put to death for not circumcising his son. God demanded the children of promise be marked with circumcision and set apart. This was done once, as a sign and seal of membership in the family of God, but it was not a saving act. In the New Testament, with the life and death of Christ, we as God's people are not bound by the ceremonial laws once mandated to Israel. No more sacrifice, no more shedding of blood, no more circumcision, but at no time are we to assume that God vacates His promise to Abraham or his instructions to His people to stop marking to the children of the promise. Many note the lack of clear scriptural evidence for infant baptism in the New Testament church. This has lead to quite a bit of scholarly debate with Godly individuals standing on different sides of biblical interpretation. Perhaps the lack of evidence in scripture coupled with the lack of historical controversy could be stronger evidence "for" this practice than "against." There is no clear command to "dedicate" the infants of believers, a common practice in some Baptistic denominations. This is done for much of the same reason we baptize. We are acknowledging the parent's primary calling to raise their children to know and understand the things of God. As Francis Schaffer says, "They are not wrong in this - their only mistake is that they do not go far enough. Let us not stop short of all that God means us to do and to have as Christian parents. If you are a Christian, your child is a child of the Covenant, and God means him to have the engagement sign of the Covenant. As a born-again parent, it is your privilege to apply it to him." The historic New Testament bridge from circumcision to baptism involves several texts. In Galatians 3 and Romans 4 we see that the promise of God made to Abraham was also applied to Gentile believers. In Colossians 2 we see that circumcision and baptism both serve as a sign and seal of our membership into the family of God. We as a church believe this to be a command of God that begins in the Genesis and continues to this day. So we therefore continue to mark the children of believers. Let me emphasize what we ARE NOT saying, and what we ARE saying. We are not saying that baptism or the faith of the parents in any way secures salvation for the child. We are not saying that baptism or the faith of the parents is in any way a guarantee of a future salvation for the child. We are saying that we want to continually be obedient to scripture and not cease a practice instituted by God for His people and their children. We are saying that by marking the children of the promise, as it was down through circumcision in the OT, that we are acknowledging that God is already working in and around the child because she has been born into a family and community of believer’s in Christ. Our hope as a church It is our hope as a church that we are setting an example of the gospel before our covenant children in such a way that they never know a time where they did not know who Christ was and what He did on their behalf. That they regularly see the love of Christ and repentance from sin at work in and around the body of Christ. It is also our hope that those who partner with us, visit, and even join the family of Christ Redeemer will share our heart to be as faithful to study and apply scripture, but hold what we have come share as a "minor family distinctive" humbly, believing that it's possible that we could be wrong. The greater invisible church, compiled of many denominations, must learn to "major on the major" aspects of the gospel and "minor on the minors." Our distinctives can be engaged, but lovingly and humbly so. Our Lord and Savior as well as a watching world in need of the gospel demands it. *Covenant Theology is the belief that the covenant promises made to the people of the Old Testament remain to this day. We define our major beliefs as fundamental and defining in nature. If for one reason or another you find yourself unable to agree with these fundamental truths, it will be hard for our church to serve you as Christ intends. We believe these truths to be at the heart of the gospel message and “common ground” for any Bible teaching church as well as any professing believer in Jesus Christ. We use this list of “majors” in determining who we offer membership as well as who we form ministry partnerships within the community. This is not to say we would not serve and work alongside others who disagree with us, but it could be a factor as to why we would choose not to in certain instances. God has revealed himself to mankind, without error, through inspired Scripture, which is the Word of God and thus the rule of faith and life. We Believe in the Fall of Man Adam and Eve sinned in the Garden and fell from their original righteousness and communion with God and became dead in sin – wholly defiled in soul and body. We Believe in Original Sin The guilt of our first parent’s sin is imputed to us – thus we are born corrupt and opposed to God, deserving of his wrath. We Believe in the Covenant of Grace God has always only ever had one plan to restore his communion with mankind – the Covenant of Grace. God offers life and salvation by Jesus Christ on condition of faith in Jesus Christ. In the days of the Old Testament this was administered differently (looking forward to the coming of Jesus Christ) than in the present days (Christ is with us) but it is one and the same covenant. We Believe in Jesus Christ Our Savior Jesus was fully God and fully man – living a sinless life and yet being crucified unto death only to rise from the dead on the third day and ascend into Heaven where he now sits at the right hand of the Father. His sacrifice has fully satisfied the justice of the Father for the sins of those who believe, restoring to them communion with God. We Believe in Perseverance Salvation comes not from our own works but from God’s eternal plan, his unchanging love, Jesus’ perfect righteousness, and the abiding of the Holy Spirit. All of these are certain and unchanging and so we are assured our salvation will persevere to the end. This means that a born again believer in Jesus may fall significantly, but never completely. While mankind’s efforts can never provide salvation, good works done in obedience to God’s commandments, empowered by his grace, and with right motives, are the evidence of true faith. At the end of days, Jesus will return and all will be judged. Those in Christ will live forever with him in Heaven, (the world will be made perfect, and we will be given perfected bodies). Those not in Christ will be forever separated from God, cast into Hell. Baptism Baptism is ordained by Jesus Christ. While baptism is not required for salvation, we believe all believers should be baptized in obedience to scripture. (Matthew 3:16, Acts 2:38) Baptism should be performed by a minister of the gospel in the name of the Father, Son, and Holy Spirit. The element of baptism is water and the mode of administration is pouring, sprinkling, or immersion. 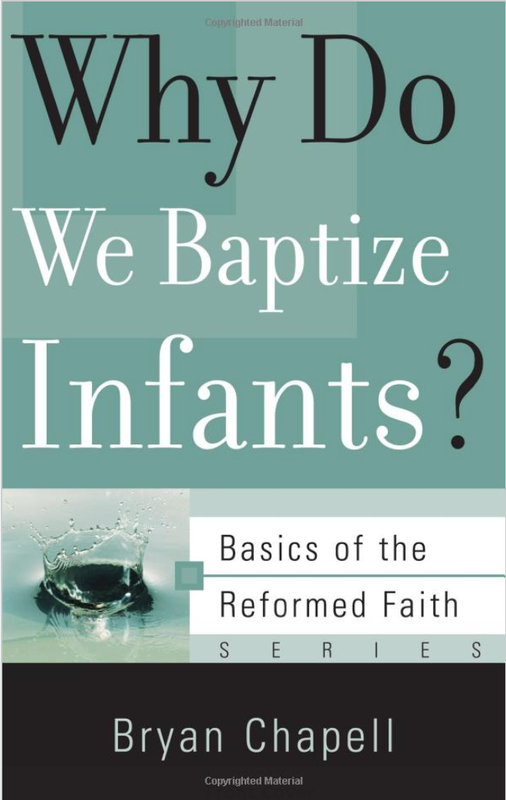 Infants as well as adults who have been baptized in this way need not be baptized again. The Lord’s Supper Jesus Christ instituted the sacrament of the Lord’s Supper as a bond and pledge of his communion with believers. The elements, bread and wine (or juice), are sometimes called by what they represent: the body and blood of Jesus Christ. However, they do not somehow mystically actually become his body and blood. We believe that Christ is present in the Lord’s supper spiritually. We encourage every believer not living in open rebellion to God’s revealed will to join us in our celebration of the Lord’s Supper each time we offer it as a part of our worship on Sundays. I’ve heard that Jonesboro is one of the most churched communities in the country. A “city of churches” I believe was the phrase used. So, why start another church? Its a fair question. The reality is, with all the churches Jonesboro has, we are nowhere close to reaching everyone. Census data from a few years back revealed that only about 15% of those surveyed considered themselves to be “churched.” That’s about 85% of the population that is unwilling or unable to claim a church community as their own. We are convinced that 10 churches of 500 can better disciple a community than 1 church of 5,000. We aren’t bashing mega-churches. They can be very effective at discipleship, building up of the kingdom, and ministering to so many. Its important to say, Christ Redeemer is not trying to be the next mega-church. In an age that often considers bigger to always be best, we want to help properly set expectations on how we believe God has called us as a church to multiply. Rather than continuing to grow we want to focus on raising up new leaders to plant new congregations. Much like the disciples being sent out in Matthew 28. New congregations help to empower new leaders, new volunteers, and can be places for the unchurched to connect. We want to focus on multiplying discipleship groups, parish communities, and churches throughout Jonesboro, northeast Arkansas, and the world. If you would like to hear more about our church, its direction and doctrines, try signing up for our Inquirer’s weekends. Its a great time for the curious or committed to hear the story of our church, explore why we are here, ask questions, and discover if God might be aligning your heart with ours. Tell me when the next Inquirer’s Weekend is. BIBLICAL We believe that God has revealed Himself in the Scriptures, which are without error and are completely trustworthy. Therefore, the Bible is our ultimate authority. It contains everything we need to know God and faithfully follow Jesus. HISTORICAL We are committed to the timeless message of the Bible, which was taught by the early church, and rediscovered in its fullness in the Protestant Reformation. The PCA separated from the Presbyterian Church in the United States (Southern) in opposition to the long-developing theological liberalism which denied the deity of Jesus Christ and the inerrancy and authority of Scripture. CONFESSIONAL The PCA is a "confessional" denomination. This means that we have a written "confession of faith" which we believe to be a good and accurate summary of the teaching of whole Bible. The PCA has made a firm commitment on the doctrinal standards which had been significant in presbyterianism since 1645, namely the Westminster Confession of Faith and Westminster Shorter and Larger Catechisms. Christ Redeemer PCA is proud to adhere to these great theological standards and traditions. For more info visit https://pcanet.org/about-the-pca-2-2-2/. ACCOUNTABLE First and foremost we abiding under the authority of Christ who is the one and only true “head of the church.” It is He who binds the conscience and ultimately calls leaders, imperfect as they may be, to lead His church as those who will give an account (Hebrews 13). We use a “presbyterian” form of church government that uses a plurality of church leadership with ordained elders and deacons found in Matt. 16:19 "I will give you the keys of the kingdom of heaven, and whatever you bind on earth shall be bound in heaven, and whatever you loose on earth shall be loosed in heaven."